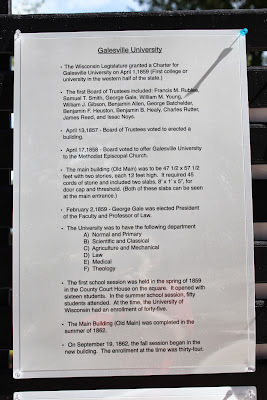 Founded in 1854, Galesville University (later known as Gale College) was one of the earliest institutions of higher education in Wisconsin and a notable attempt to bring higher education to the newly recognized state. 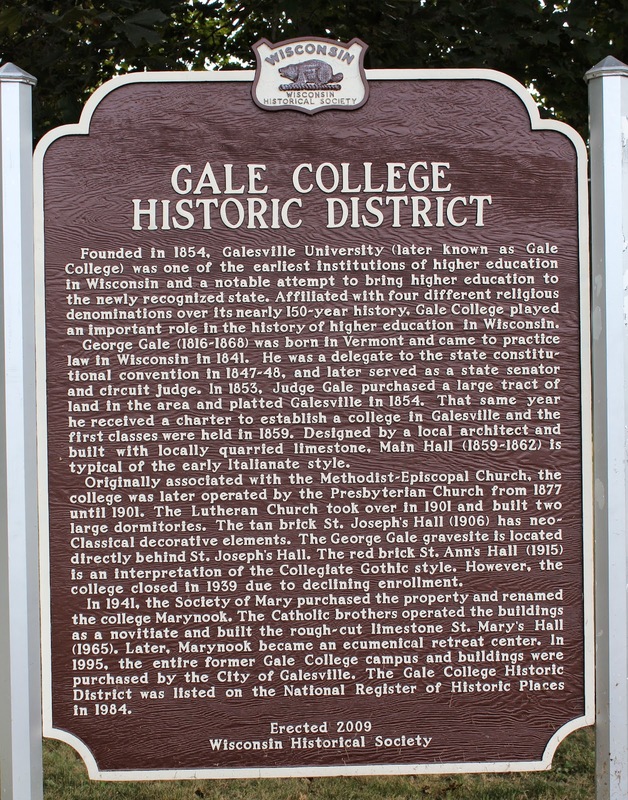 Affiliated with four different religious denominations over its nearly 150-year history, Gale College played an important role in the history of higher education in Wisconsin. 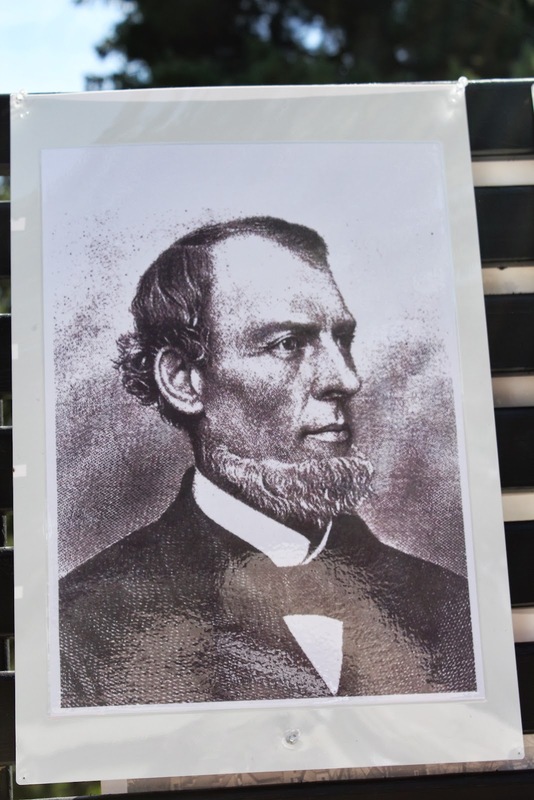 George Gale (1816-1868) was born in Vermont and came to practice law in Wisconsin in 1841. 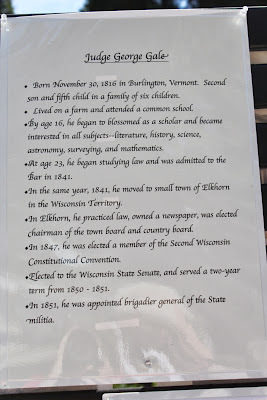 He was a delegate to the state constitutional convention in 1847-48, and later served as a state senator and circuit judge. 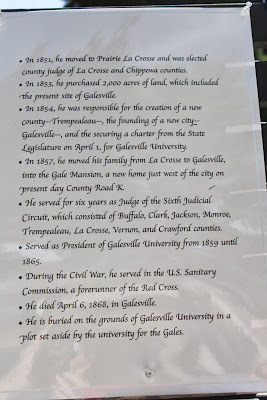 In 1853, Judge Gale purchased a large tract of land in the area and platted Galesville in 1854. That same year he received a charter to establish a college in Galesville and the first classes were held in 1859. Designed by a local architect and built with locally quarried limestone. Main Hall (1859-1862) is typical of the early Italianate style. Originally associated with the Methodist-Episcopal Church, the college was later operated by the Presbyterian Church from 1877 until 1901. 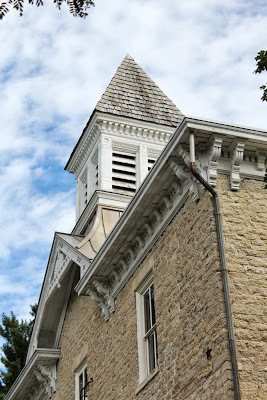 The Lutheran Church took over in 1901 and built two large dormitories. The tan brick St. Joseph's Hall (1906) has neo-Classical decorative elements. The George Gale gravesite is located directly behind St. Joseph's Hall. The red brick St. Anne's Hall (1915) is an interpretation of the Collegiate Gothic style. However, the college closed in 1939 due to declining enrollment. 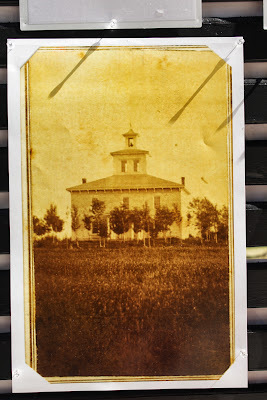 In 1941, the Society of Mary purchased the property and renamed the college Marynook. 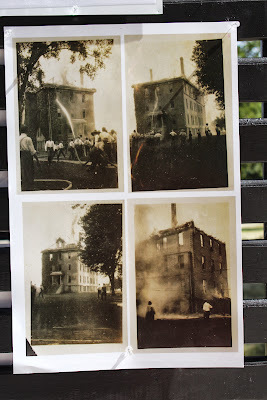 The Catholic brothers operated the buildings as a novitiate and built the rough-cut limestone St. Mary's Hall (1965). Later, Marynook became an ecumenical retreat center. 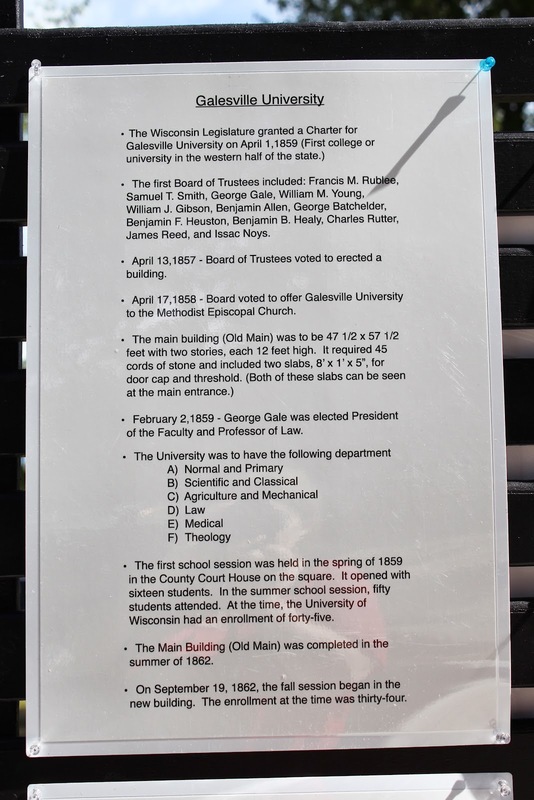 In 1995, the entire former Gale College campus and buildings were purchased by the City of Galesville. 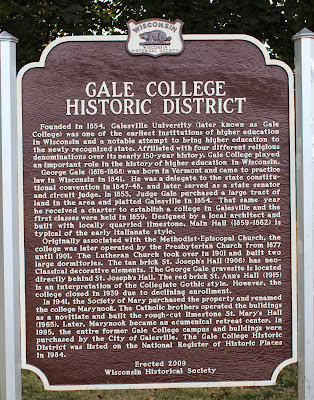 The Gale College Historic District was listed on the National Register of Historic Places in 1984. 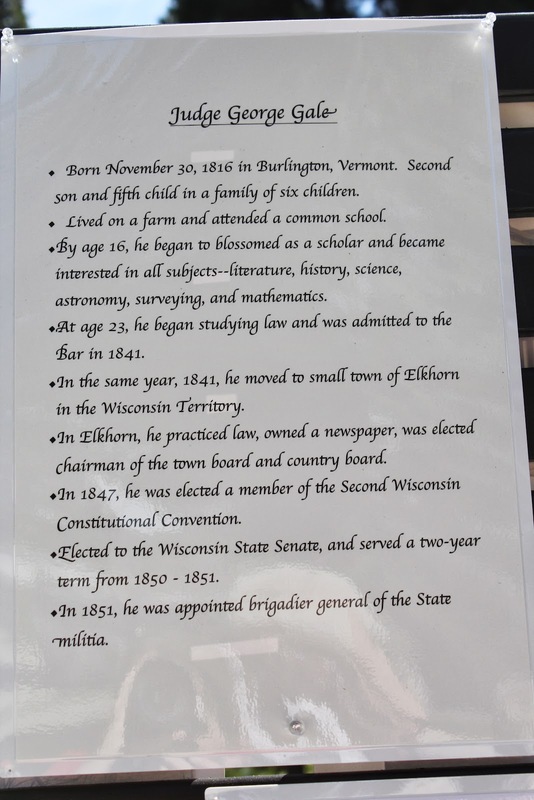 The marker is located on the grounds of Old Main Historical & Community Arts Center, 20869 College Avenue, near its intersection with South 12th Street, Galesville, Wisconsin 54630. I visited on a very special day -- the "Main Event" Annual Celebration and Fund Raiser, with wine tasting, cheese sampling, and live music "under the pines". It was wonderful! The back side of Old Main . . .
Nancy Edstorm played the restored Hammond Organ . . .
-- jazz and more, including an awesome polka! Yup! That's how high the corn grew!